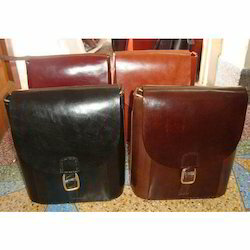 Antique Design Of Leather Handbags And Purses. Since our inception, we are instrumental in manufacturing, exporting and supplying optimum quality Jute Bag. Our jute bag is well designed by utilizing high quality jute and latest technology under the visionary observation of our professionals. The offered jute bag is broadly praised among our customers for its design, excellent finish and fine quality. 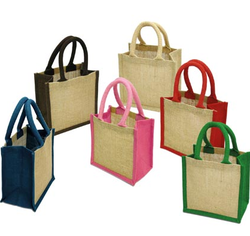 Along with that, we offer this jute bag with various specifications at reasonable rates. 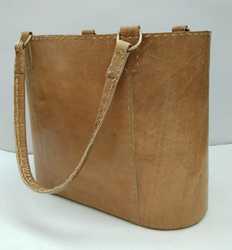 Being a customer oriented firm, we are engaged in manufacturing, exporting and supplying a wide range of Ladies Leather Bags. 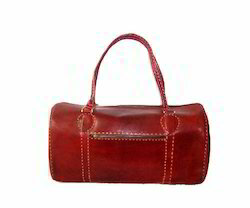 This Leather bag is extremely demanded in the market for its attractive design. 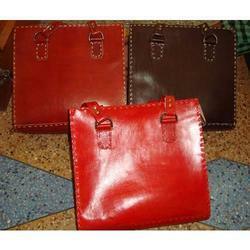 The offered Leather bag is accessible in various designs. The offered Leather bag is designed and crafted utilizing best grade of leather and leading-edge technology in conformity with the latest market innovation. 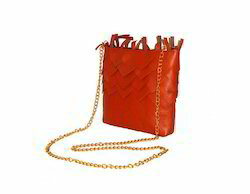 Additionally, the customer can take this Leather bag within the promised time-frame. 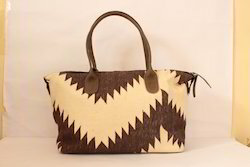 Handmade leather and kilim Tote bag. 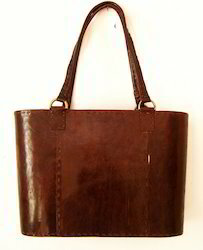 Genuine buffalo leather shoulder bag. It will make you look simple yet stylish. 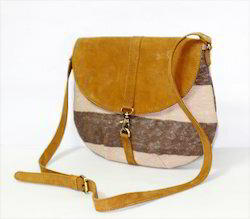 Style out with our shoulder bag and you look fashionista. Packaging Details: Poly bag packing or as per buyer's requirement. 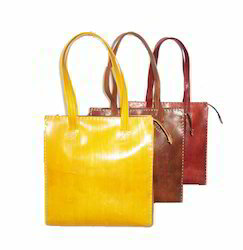 A small leather classic leather tote handbag in a various colour (yellow,dark brown and tanned).Made from thick buffalo leather, this design is a leather tote.Simple design and fashion sense. *Thick hand cut sewn raw natural leather with antique brass fitting, YKK zipper with cotton lining inside, small zipper pocket. Handmade leather and kilim backpack. This medium size compact backpack is perfect for carrying your day to day belongings. 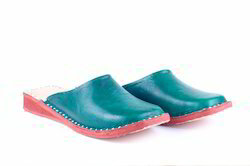 Leather slippers- Mul:Mule, - backless and closed-toed.Both for men and women . Lovely handmade comfortable mule, available in all colours and sizes. 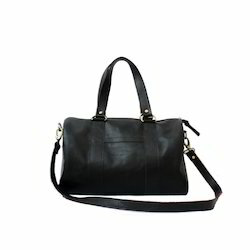 The traveler bag is made from traditionally tanned natural goat leather, very stylish and sturdy. The Perfect Traveler Bag for a weekend getaway. Every effort has been made to accurately reproduce the look of this product but there May be up to 5% variation in the colour of the actual product received due to varied screen resolution or lighting at time of digital photography and Accessories shown in the image are for the purpose of enhancement of the image only, and not for sale. The Colour of the product might differ slightly from what´s shown in image. Our leather bags are strictly produced by our skilled team with the natural traditional way of craftsmanship.Our products are 100% natural and they have the well-known smell of leather, No chemical treatments or dyes Some tiny imperfections and wrinkles suggest the authenticity of the leather.These imperfections will make the product as time goes by unique and the leather will also become softer by time. Don’t forget that you are buying a lifetime product!!! 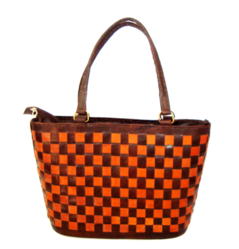 *Handmade checkered Leather bag in high quality leather. *This is a big bag and can fit a lot of things. *Hand stitched bag with a genuine Leather. 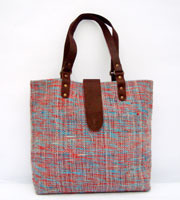 *It is sewed by a skilled artisan with lot of love and attention,the bag are 100% hand stitched. 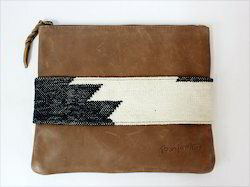 *This is a very pretty kilim woven clutch with brown texture leather. 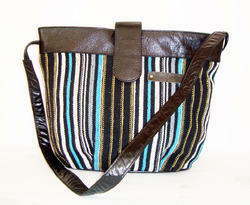 *The purses is lovely combination of kilim and leather which looks exclusive. *This is perfect for you or as a gift for your loved ones. *One antique designed is given as the kilim is stiched at the front side of the wallets for hold the wallets to insert and hold the wallet easily. *Light wear, A perfect accessory for any outfit or for travelling. 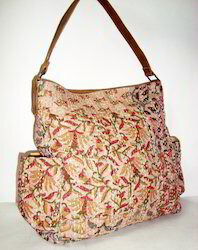 *This Embroidery leather women's satchel bag is small but having amazing style. *Handcrafted embroidery work and also beaded with the tiny mirror which gives the look antique , just leaves everyone admiring. *You can use it as a day or evening companion. Its small size is designed to carry all your personal things. *Inside it has a main compartment with there the sub-compartment ,outside extra leather pocket and a detachable - adjustable shoulder strap. 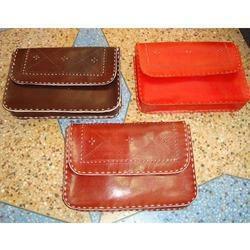 *Strong genuine buffalo leather with green and brown colour. Our leather bags are strictly produced by our skilled team with the natural traditional way of craftsmanship. Our products are 100% natural and they have the well-known smell of leather. Some tiny imperfections and wrinkles suggest the authenticity of the leather. These imperfections will make the product as time goes by unique and the leather will also become softer by time. Its in antique colour with a exclusive handmade embroidery. Rug BagsAt MB Exports you will find a unique range of Messenger Rug Bags that are crafted for today’s fashion needs. There is a wide variety of materials, designs and sizes to suit precise requirement of buyers. These bags offer a smart way to carry different objects with optimal comfort. Enticing designs, comfortable handle and durable construction make our Rug Bags suitable for daily use. Also, these are designed to be spacious and lightweight in nature. Made according to the latest trends of the market they are multipurpose and stylish. All such aspects of these bags make them a must have item. 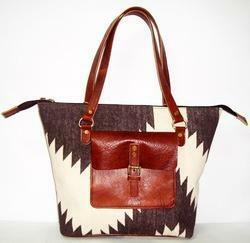 Handmade kilim and leather bags.Bag made with combination of ethnic durry and leather. For a modern day lady nothing can be more enthralling than being the owner of a rich and appealing leather bags that are both value for money and utility as well. A priced possession, these bags are made in high quality leather. 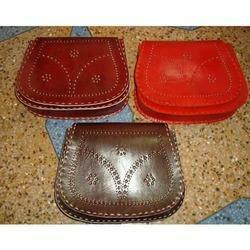 Right from colors, designs, sizes to even choice of leather, you name it and we deliver it. 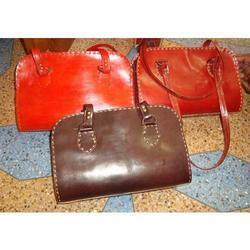 Be our partner for your kind of leather bags and be assured of the best quality products right at your doorsteps. Showcasing a versatile range of colors and elegant tones of shades, our collection is detailed with high-contrast design that pairs perfectly with your classic attire. A perfect piece to carry your stuff or personal things. A perfect piece to carry your stuff. 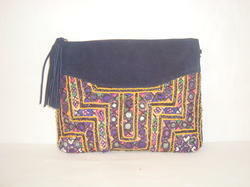 *Wonderful Indian real suede leather/ cross-body bag. 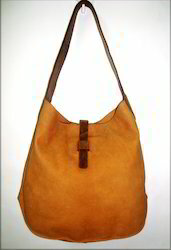 *Handmade bag in camel colour. *The strap is made up of metal in golden colour in a fashionable style. "One of a kind"
*You will love this bag by its beautiful and stylist design and the real smell of pure leather and it is real as in photo !!!! For a modern day nothing can be more enthralling than being the owner of a rich and appealing leather bags that are both value for money and utility as well. A priced possession, these bags are made in high quality leather. 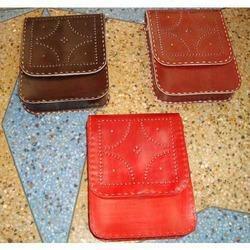 Right from colors, designs, sizes to even choice of leather, you name it and we deliver it. 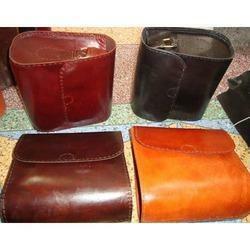 Be our partner for your kind of leather bags and be assured of the best quality products right at your doorsteps. Showcasing a versatile range of colors and elegant tones of shades, our collection is detailed with high-contrast design that pairs perfectly with your classic attire. A perfect piece to carry your luggage or the clothes for the trip and also can use as a gym bags. A perfect piece to carry your luggages for trip and also use as the gym bags. A perfect piece to carry for any occasion, from office to party. Every single leather bags from us is manufactured to match our client’s modern day need. Enhances the fashion statement to the core. Customized to suit your preferred requirement. *Stylist Leather Wallet made with from genuine leather. *On the inside of the bi-fold wallet, you'll find a zippier compartment, plenty of room and slots for your ID, credit cards, and other important stuff. *100% Satisfaction Guaranteed! Truly a unique Handmade Gift. *Fully lined to help keep your belongings protected. A perfect piece to carry your money,visa card,id card,visiting card,passport,etc. 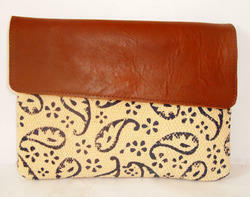 Meet cute purses it is ready and waiting to snuggle up for the winter. 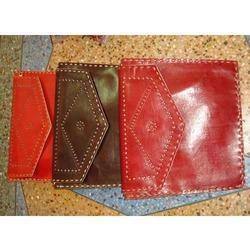 Small leather pouches is made from a super genuine leather with the cute designed. 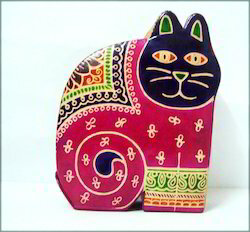 The leather piggy bags is printed as the cat faces which looks exclusive and attractive once. Roomy purse can store lots of coins with the tich bottom closure. *Cotton Lined , one zippier pocket. 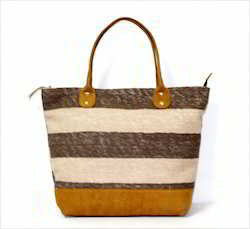 *Light wear, A perfect accessory for any outfit or for traveling. Bag made of genuine suede. Bag vinous . Embroidery and the beaded on the bag and the tassel is attached with the puller. The back side of the bags is of full suede which the artician give the exclusive designed. Exquisite embroidered 100% handmade! Inside the bag there is a pocket.On the bag antique on the bag. A Golden chain across the shoulder. Please feel free to contact me if you have any other questions. Welcome to order. Wonderful Indian real suede leather/ cross-body bag pure leather fringes handmade bag in brown colour "one of a kind"You will love this bag by its beautiful and stylist design and the real smell of pure leather and it is real as in photo. Every effort has been made to accurately reproduce the look of this product but there May be up to 5% variation in the colour of the actual product received due to varied screen resolution or lighting at time of digital photography and Accessories shown in the image are for the purpose of enhancement of the image only, and not for sale. The Colour of the product might differ slightly from what´s shown in image. Our leather bags are strictly produced by our skilled team with the natural traditional way of craftsmanship. Our products are 100% natural and they have the well-known smell of leather, No chemical treatments or dyes Some tiny imperfections and wrinkles suggest the authenticity of the leather. These imperfections will make the product as time goes by unique and the leather will also become softer by time. Good vintage condition! Structurally excellent, clean interior. A Perfect bag to give elegant look with any outfit.The hand block fabric gives an alluring sense of style in the design of this handbag. Our assortment of handmade Fabric Bags is a true reflection of creativity and aesthetics that are blended to deliver a great utilitarian option to the owner. These bags are highly appealing and are available in myriad of colour combination that makes these a perfect match with any attire. A perfect option for you to carry for everyday use, these are made of high quality fabric that is tested on colour fastness and shrinkage and hence can be washed. Available as per the specifications detailed to us by our clients, we ensure offering these at competitive prices to the buyers. 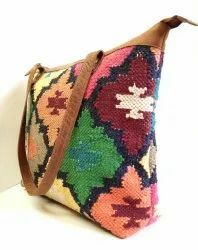 A Perfect bag to give elegant look with any outfit.The Kilim fabric gives an alluring sense of style in the design of this handbag.